Abstract Dot Printed Plus Size Utility Blouse is rated 4.4 out of 5 by 25. This work-ready button-down blouse is the perfect complement to solid ponte pants or jeans on the weekend. A colorful circle pattern and a notch neckline give it an eye-catching look. Rated 4 out of 5 by ClassyChic from Love the style! Bought this for myself as a mid-season treat. Love the abstract print and colorss well as the style! The only downside is that it shrunk a bit and left hanger marks on the shoulders when I hung it to dry - per label instructions :( Next time, I'll lay it flat and see what happens. Rated 5 out of 5 by Lady C from Love the color Very Comfortable, looks and feels great, love the colors. Rated 1 out of 5 by JG70 from Watch how you wash it. Bought this top two weeks ago. Absolutely loved it (until I accidentally washed and dried it). Haven’t owned anything “rayon” in years. It literally shrunk a full size. Still pretty but too small for me. Lesson learned. READ THE CARE LABEL! And, in my case, NEVER BUY ANYTHING RAYON OR CHALLIS! Rated 5 out of 5 by Pegsonmd from Very comfortable I like this blouse because our weather has been unseasonably warm and it's lightweight. I'll pair it with a sweater when the snow flies. Rated 5 out of 5 by DTap from Comfy & looks great I bought this blouse a couple weeks ago and can't stop wearing it. It so soft and comfortable and looks great. I'm so glad I bought it! Rated 5 out of 5 by Deb l k from Beautiful blouse I love, love, love this fabric! 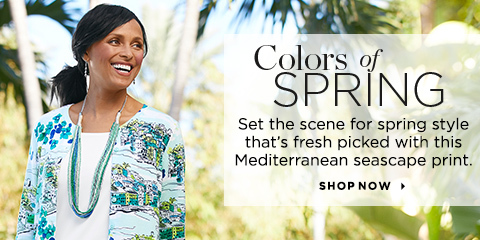 It’s lightweight and comfortable, the colors add joy and some color to my wardrobe! Rated 5 out of 5 by Mrs J from Colorful Very comfortable blouse. Able to were with white or black slacks or a capris.